It’s a home suitable for rock royalty, and now it can be yours. 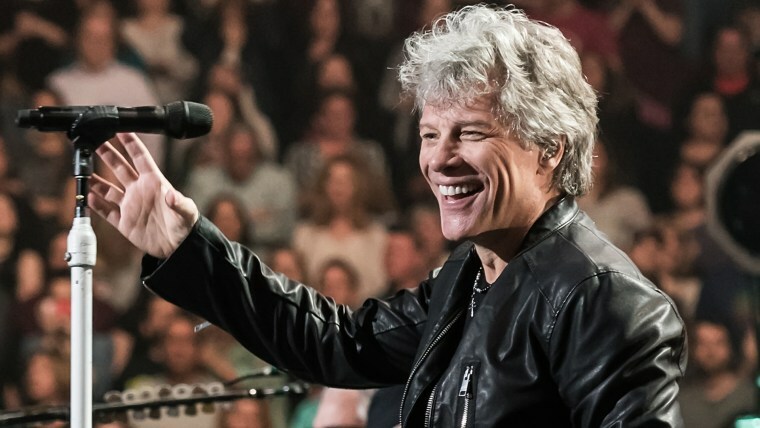 Music icon Jon Bon Jovi — who will soon be inducted in the Rock and Roll Hall of Fame — owned this bright-and-airy Upper West Side apartment from 1998-2008, and it just hit the market again. While Bon Jovi used it more as a pied-à-terre, the 2,727-square-foot space has everything you need for full-time livin’ (on a prayer). With gorgeous views of the Manhattan skyline and Central Park, the home features large windows, exotic Wenge wood flooring and other elegant details throughout. The large living area has plenty of space to relax with company, and there’s room for a dining table and bar — perfect for entertaining. It also features a corner exposure streaming with sunlight. A cozy library features a richly -designed accent wall and funky checkered wallpaper. In the kitchen, you’ll find pretty blue cabinets, an eat-in breakfast bar and a Wolf range. There’s also a Miele espresso/cappuccino maker — perfect for those mornings after partying like a rock star all night. Hopefully the new owner of the apartment will love wine since the place comes with a refrigerator that holds 260 bottles. One bottle that should definitely be included in the collection? Diving Into Hampton Water, the rosé Bon Jovi created with his son, Jesse Bongiovi. The master bedroom has windows with corner exposure and motorized blackout shades. It also features his and hers closet space and an en-suite bathroom with separate shower and whirlpool tub. Bon Jovi isn’t the only celeb to ever call this fancy doorman building home. Regis Philbin, Howard Stern and Liam Neeson all own apartments there. The apartment is listed by Corcoran for $8.5 million. See more pictures at the listing.